The Austin Mar Thoma Church is part of Mar Thoma Syrian Church Of Malabar which is headquartered at Thiruvalla in Kerala, in India. The Church defines itself as "Apostolic in origin, Universal in nature, Biblical in faith, Evangelical in principle, Ecumenical in outlook, Oriental in worship, Democratic in function, and Episcopal in character". Formed in 2006 as a congregation, we strive solely to spread the message of salvation through JESUS CHRIST alone, to the entire World. We hope you can join us in worshiping the Lord. We are a parish under the jurisdiction of the Diocese of North America and Europe. Our vicar is Rev. 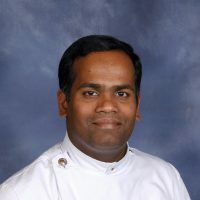 Biju P. Simon. So do not fear, for I am with you; do not be dismayed, for I am your God. I will strengthen you and help you; I will uphold you with my righteous right hand - Isaiah 41:10. For further details please see the upcoming events page or the calendar on our events page.